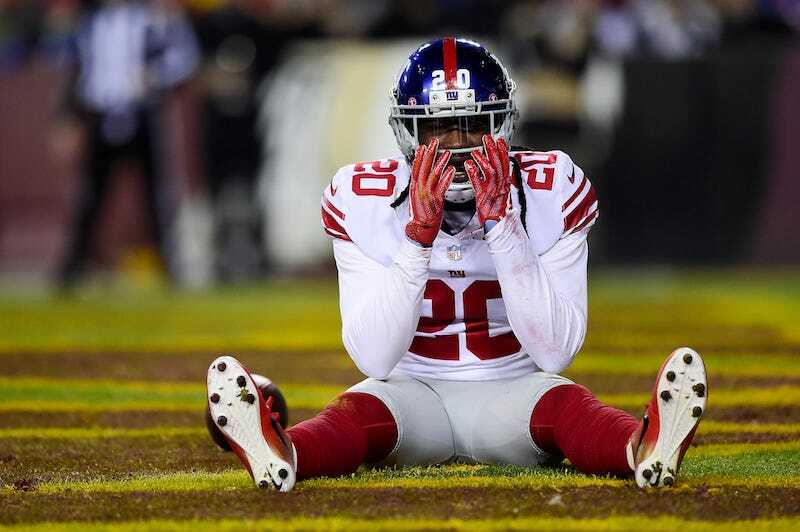 The Bergen County, N.J., prosecutor’s office and Fair Lawn, N.J., police have charged William Jenkins, the older brother of Giants cornerback Janoris Jenkins, with aggravated manslaughter in relation to a dead body found at Janoris’s home. Ontario County (N.Y.) district attorney James Ritts had earlier told TMZ that the 34-year-old William Jenkins was “a person of interest” in the case, but that he was not a suspect. TMZ obtained records showing that William Jenkins was arrested in upstate New York at 1:46 a.m. Tuesday on an “unrelated parole warrant issue.” That’s nearly nine hours before the body of 25-year-old Roosevelt Rene was discovered in the basement of Janoris’s home in Fair Lawn, some 300 miles away. Janoris has reportedly been in Florida for several weeks, and ESPN reported that his attorneys have advised him to stay there. Rene has been identified in multiple reports as a family friend of Jenkins. He was a hip-hop producer who also went by the name Trypps Beats. This post was updated at 5:09 p.m. ET to indicate that charges were filed against William Jenkins.